A UNESCO World Heritage site is located about 145 km from Kuala Lumpur. Besides the many beautiful historical sites, Malacca is a great place to eat various street foods. You can take a bus straight from the airport instead of having to go into the city. The cost of the bus is about 24 MYR. 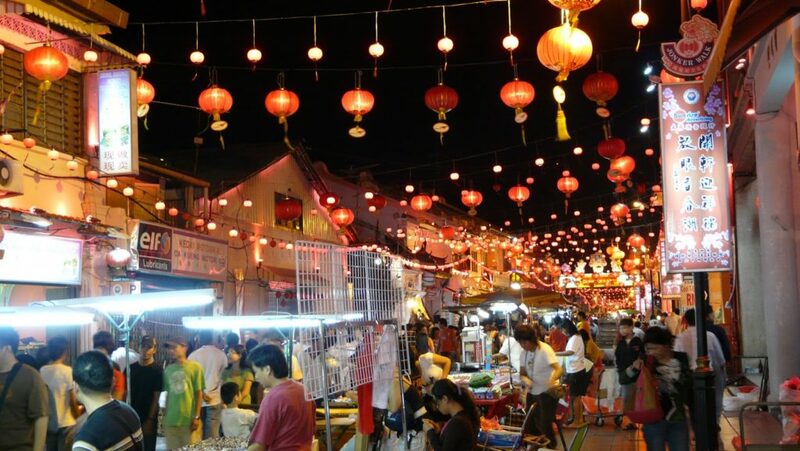 Jonker Street is the artistic center of Malacca. Here you will find a large number of art galleries, antique stores and shops where you can buy various ornaments. It is best to go on weekends. By Bus – Take the main bus terminal Puduraya in Kuala Lumpur. The trip from Kuala Lumpur to Malacca by bus will take around 2.5 hours. Tickets from Kuala Lumpur to Malacca only cost around RM12.50 (one way). You will arrive in Malacca at the Malacca Central Bus Station. From here, you can easily take a local bus to the center of the town; or you can take a taxi to your hotel. It is a first private museum in Malaysia. The house is a combination of three terrace lots that were acquired by the Chan family in 1861. Four generations lived in the house before it opened as a museum in March 1985. It is beautifully decorated with items from around the world including finely stitched embroideries from China, furniture originating from Italy and colorful floor tiles from England. They begin at 10 a.m. and the last one is at 4 p.m., with an hour break in-between for lunch from noon to 2 PM. A replica of Sultan Mansur Shah’s palace who ruled Malacca from 1456 to 1477. The original building was destroyed by lightning. The palace was constructed in 1985 base on accounts and writings of the ancient Sejarah Melayu. 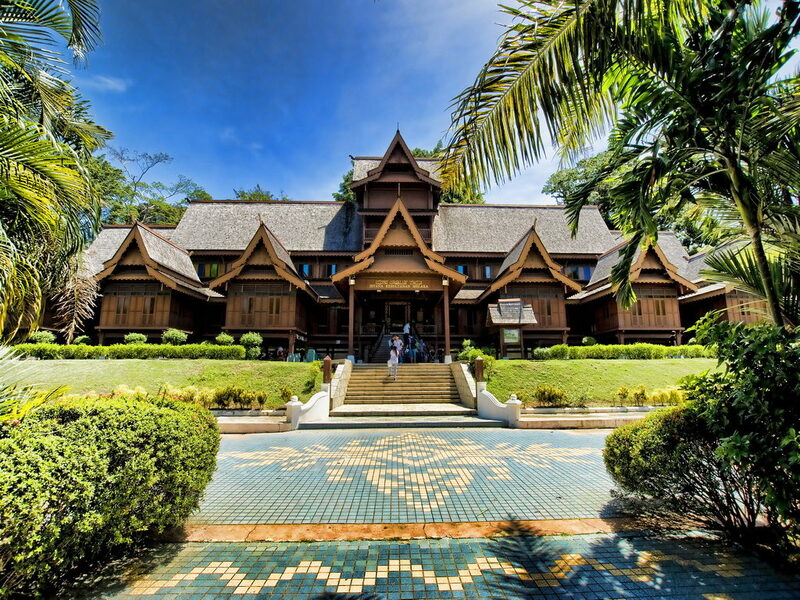 The replica is a seven-tier building supported by wooden pillars and typical Malay influenced zinc roof. 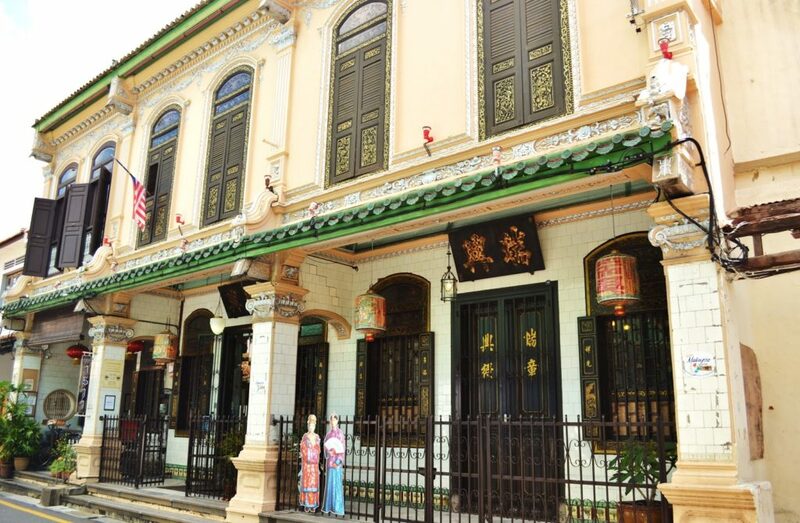 The building serves to preserve the architectural style of Melaka Sultanate Palace as well as the historical heritage of the Malay race. 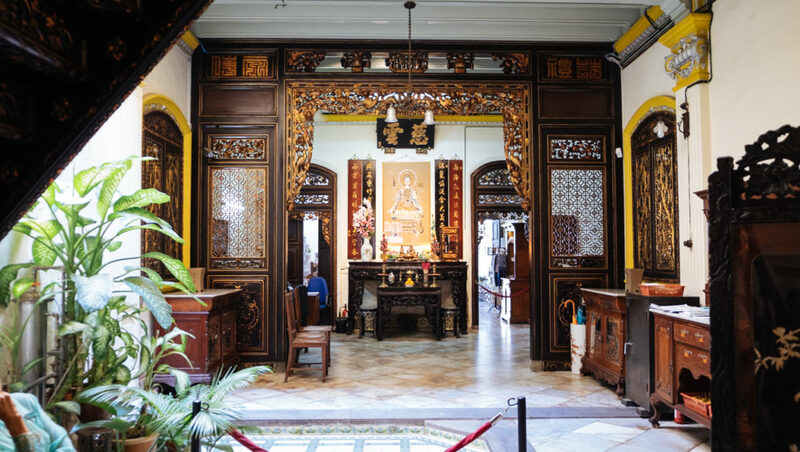 The museum highlights the history of the Malaccan Sultanate through thousands of artifacts, prints, photos, and paintings. 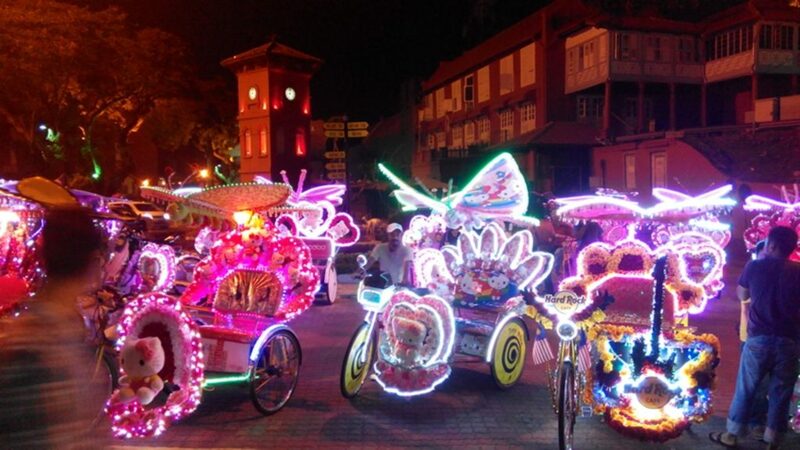 You will find exhibits depicting the daily lives of the Sultans of Malacca. There are eight different exhibition rooms where you can find traditional weapons, arts, costumes and jewelry on display. Mini Malaysia & ASEAN Cultural Park is the best place to witness and learn about the unique cultures of people from the various States in Malaysia. 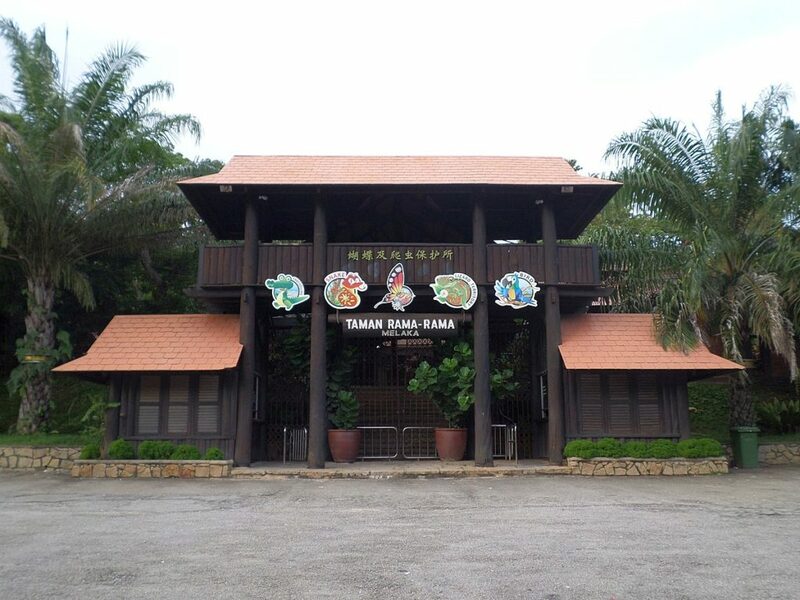 The main features of the park are the replica of traditional houses, which are individually constructed and represents the architectural style and splendor of the 13 states in Malaysia. Inside each of these houses, visitors will find various handcrafts which originate from each of the states. Apart from serving as decoration, these handicrafts also serve as an eye-opener to visitors especially in learning more about each of the individual state. In some of the houses, the costumes of the locals are also displayed for public viewing. A great place for kids too, as they can learn traditional Malay games. Open daily from 9.00 a.m. to 5.30 p.m.